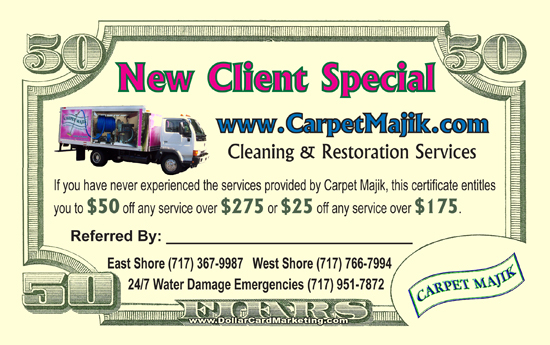 Here’s an example of a set of 50 dollar bill carpet cleaning referral cards created by Dollar Card Marketing. Dollar cards make great referral cards for any carpet cleaning business. Here’s an example of a set of 50 dollar bill carpet cleaning business cards created by Dollar Card Marketing.